Home / JOHOR / THEME PARK / TRAVELOGUE MALAYSIA / SANRIO HELLO KITTY TOWN Presents the Sweetest Show in Town! Johoreans are in for a treat! For the second time SANRIO HELLO KITTY TOWN and Thomas Town, Puteri Harbour is offering special priced All Park Pass tickets exclusively for Johor residents. 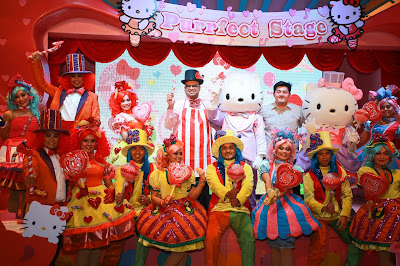 Priced at RM65.00, the All Park Pass tickets will grant admission to SANRIO HELLO KITTY TOWN and Thomas Town, Puteri Harbour.The Johor residents-only exclusive promotion will be available at special events throughout the year, so keep an eye on the SANRIO HELLO KITTY TOWN and Thomas Town Facebook pages. 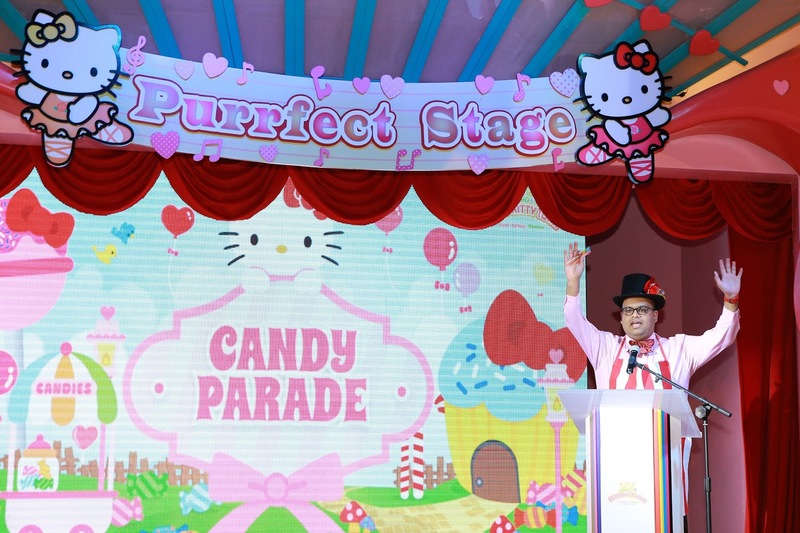 SANRIO HELLO KITTY TOWN is located strategically in Puteri Harbour, Nusajaya Johor, just 20 a minute drive from the Malaysia-Singapore Second Link, 25 minutes away from the Senai International Airport and only 10 minutes away from LEGOLAND® Malaysia Resort. 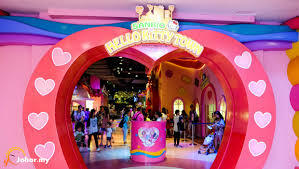 The first SANRIO HELLO KITTY TOWN theme park outside of Japan consists of various walk-through attractions, interactive activities and rides, which follow the Hello Kitty theme. Key features include puzzle solving activities incorporating computer and sensor technology to provide interactive experiences for both children and adults. Visitors can also look forward to creating their very own Hello Kitty themed souvenirs, or choose to dress up and decorate themselves as their favorite character at the Wishful studio. 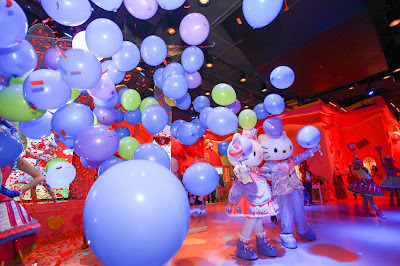 There are also a host of delectable Hello Kitty themed drinks and pastries from the Red Bow Café and Cinnamaroll Café to delight in between enjoying the activities! Themed Attractions Resorts & Hotels Sdn. Bhd. is an investment holding company incorporated to develop, manage and operate hospitality and attraction destinations. Established by the Malaysian Government’s strategic investment fund, KhazanahNasionalBerhad, TAR&H serves as a catalyst for the leisure and tourism industry by bringing premier world-class hotels, resorts, golf courses and attractions to the region. Its current key investment portfolio comprises Desaru Coast – a premium integrated destination resort, LEGOLAND® Malaysia Resort - the sixth LEGOLAND in the world and the first in Asia, KidZania Kuala Lumpur & KidZania Singapore - an indoor family education and entertainment centre, Puteri Harbour Retail Precint– a quay side lifestyle retail and family entertainment complex, SANRIO HELLO KITTY TOWN – the first of its kind outside of Japan, Thomas Town – an indoor theme park that features the famous Thomas & Friends® characters on multiple themed rides and Hotel Jen Puteri Harbour at the luxury waterfront of Puteri Harbour, Iskandar Puteri, along with the award winning The DataiLangkawiand the first Els Club in Southeast Asia – The Els Club TelukDataiin Langkawi. The Els Club Desaru Coast – Ocean Course is now open and will soon be joined by another spectacular golf course, Valley Course which is scheduled to open in early 2017.